James advises on European green building law and policy for the network of over 30 national Green Building Councils around Europe, coordinating their advocacy work as well as the work of WorldGBC’s global Policy Task Force. He has a Masters from the University of Cambridge, and a background in corporate and finance law. Previously an associate with the Environment and Climate Change practice of global law firm Linklaters LLP, he specialised in advising global corporations on UK and EU sustainable real estate law and policy, renewable energy projects and chemicals regulation. He also previously worked for the Royal Institute of British Architects, focusing on sustainable building policy and EU public procurement reform. 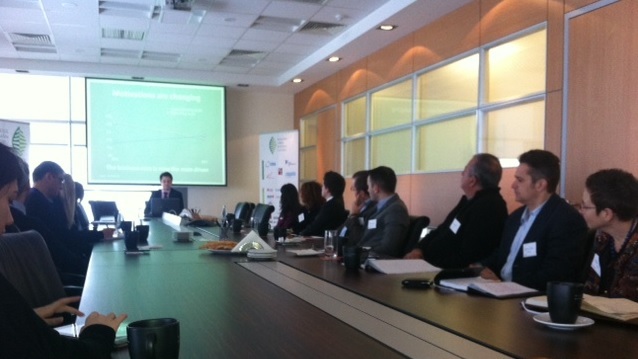 EU green building policy and legislation and major challenges that governments and businesses are facing. To secure a place at the seminars please RSVP by email to Monica.Ardeleanu@RoGBC.org no later than 23 January. Please note that the seminars will be in English. How GBCs are doing this around the world, with examples from the US, Australia and the UK. The workshop will be the first stage in the design of RoGBC’s new policy/advocacy strategy, which will be led by RoGBC’s Director of Policy and Development Monica Ardeleanu with the support of WorldGBC. To secure a place at the workshop must RSVP by email to Monica.Ardeleanu@RoGBC.org no later than 23 January. Please note that the workshop will be in English. 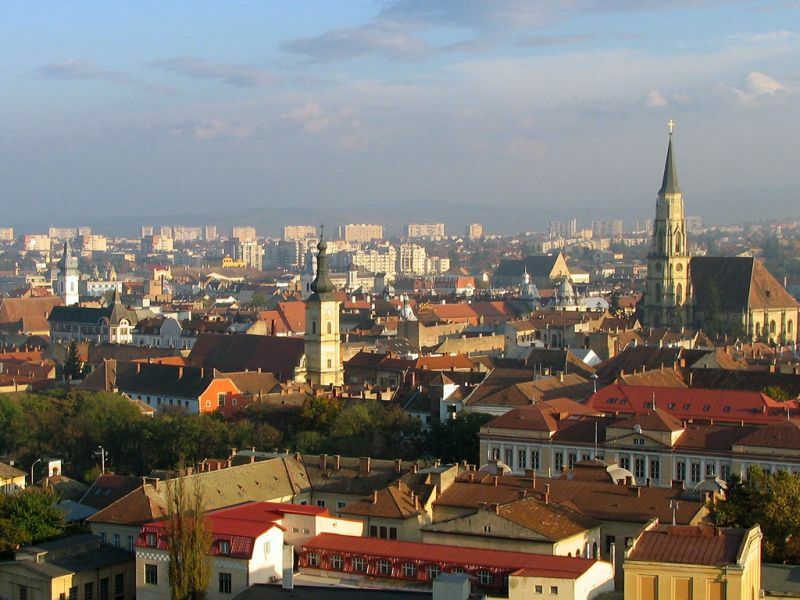 After one and a half years since the city of Cluj-Napoca, RO adopted a financial incentive rewarding green building certifications the market for green solutions has ignited. The Romania Green Buildning Council has issued six certifications of conformity recommending to the municipality that six buildings receive the 75% property tax reduction based on their obtaining an “A” on the Energy Performance Certificate and an internationally recognized green building certification. 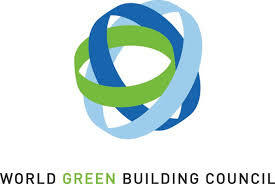 The first round of buildings were certified either under the LEED or BREEAM rating tool schemes. The pipeline of green building projects in the city is large with many more certifications expected to follow. Dorin Beu Ph.D., Director of the Romania GBC’s Transilvania branch, who visited the building sites noted important components implemented included locations with close proximity to public transportation, energy efficiency measures and “smart building” BMS technology, bike storage and enforcement of smoking-free zones within the buildings. The property tax reduction is valid for both commercial and residential developments but primarily only the commercial building projects are seeking green certifications as the overall level of property tax legislation is already very low for residential versus commercial tax rates. Our office in the Romania Green Building Council’s headquarters in Bucharest utilizes the RECICLETA service to handle our office’s paper waste. 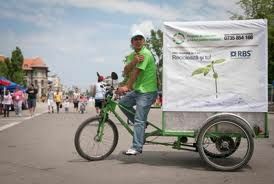 This innovative program helps disadvantaged persons with a legal job and utilizes cargo bikes to pick up and transport the recycled paper. Recently, ViitorPlus, the organization behind RECICLETA was recognized with a prize in the European Investment Bank Institute for Social Innovation Tournament. Congratualtions to ViitorPlus! 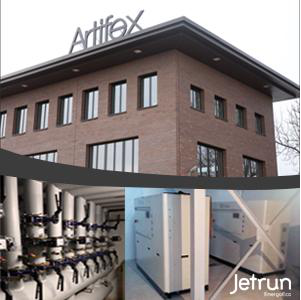 We would be interested to see your submissions of other innovative programs for green office operations. The European Green Building Councils of Croatia, Slovenia, Romania, Italy and Turkey join a list of 28 Green Building Councils around the world as founding members of the Global Coalition for Green Schools. The Global Coalition for Green Schools is a new initiative organized by the Center for Green Schools at the U.S. Green Building Council (USGBC), in conjunction with the World Green Building Council. The Global Coalition for Green Schools works collectively to shape schools and communities to fundamentally change the way students learn about the world around them. Each of the 28 founding members have committed to establishing and leading a national coalition for green schools within each of their respective countries. The goal of these coalitions is to promote a shared vision of green schools for all within this generation. Members of the coalition will share best practices, resources and case studies, provide tools and infrastructure to this growing network, and introduce programs, initiatives and campaigns that can be replicated around the world. Current members of the Global Coalition for Green Schools include: the Green Building Councils of Australia, Argentina, Bostwana, Brasil, Canada, Chile, China, Colombia, Croatia, Egypt, the Emirates, Ghana, Hong Kong, Italy, India, Israel, Kenya, Mauritius, Namibia, Peru, Qatar, Romania, Singapore, Slovenia, Turkey and the United States. Because schools look different from country to country around the world, the Coalition has identified three pillars by which to define a green school – minimize environmental impact, optimize human health and performance and foster a generation of environmentally literate students. National coalitions will bring together influential leaders in their country’s green schools movement including non‐profits, corporations, community members, universities and government. The Global Coalition will help shape schools and communities to fundamentally change the way students learn about the world around them. To learn more about the Global Coalition for Green Schools and the Center’s international efforts, please visit centerforgreenschools.org/global coalition.